Tattu R-Line Verson 3.0 120C high discharge rate batteries designed for professional FPV racing events. 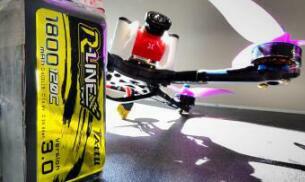 Tattu R-Line is made to devour the racetrack and power your amp hungry quad, giving you the edge in competition. It’s the best choice for high speed racing events which can maximizing performance and durability.